To encourage both members and non-members to come out and meet Blomeyer Fitness Center's new management team, HealthFitness is hosting an open house at the facility on Sept. 24. The Blomeyer Health Fitness Center is officially under new management. 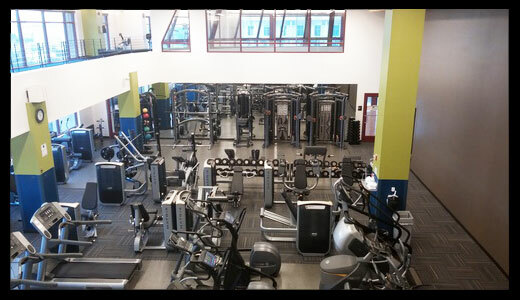 HealthFitness assumed management of Emory's employee fitness center on Sept. 1. "We are very excited to be here at Emory," says Rebecca Davis-Hipp, regional director of HealthFitness. "Our company brings over 35 years of experience in the employee fitness industry and we have plans to bring our best and most engaging programs to the Blomeyer and the Emory community." Melissa Morgan, wellness manager with the Faculty Staff Assistance Program, says that Emory is also delighted about the new partnership. "We are already making plans to work with HealthFitness on a variety of wellness programs that will benefit Emory employees, both members and non-members," she says. To acknowledge the new launch, Blomeyer is running a back-to-school special throughout the month, waiving the enrollment fee and September dues for new members. The monthly fee for Blomeyer is currently $27 per month for Emory employees and retirees; membership information is available online. LaToya Morton, program manager at Blomeyer, says that HealthFitness will maintain many of the fitness center's current classes and instructors and they have recently published the September/October class schedule. The management team is also looking to make some enhancements to the classes and distributed a group fitness survey to all Blomeyer members in August. "Over the next few months, we plan to review the survey data so we can keep the classes people like best and provide new, revitalized classes based on the feedback we've received," Morton says. Several of Blomeyer's current personal trainers have also been retained, and HealthFitness has added staff to complete the training team. "We know that personal training is really important to our members. All of our trainers are certified by a nationally accredited personal training organization to ensure that our members receive the most up-to-date health information to maximize the results of their exercise program, time and investment," explains Morton. To encourage both members and non-members to come out and meet Blomeyer's new management team, HealthFitness is hosting an open house on Sept. 24. Several activities are planned including a variety of classes focused on how to increase your physical activity (to promote and support Emory's Move More Challenge), the opportunity to connect with the new Blomeyer staff, and to learn more about some new programs coming for 2016. "We really want to encourage everyone to come out, meet our staff and see what we have to offer," says Morton. "We want to be Emory's partner in helping employees enhance their level of fitness and pursue their own personal health and wellness goals."